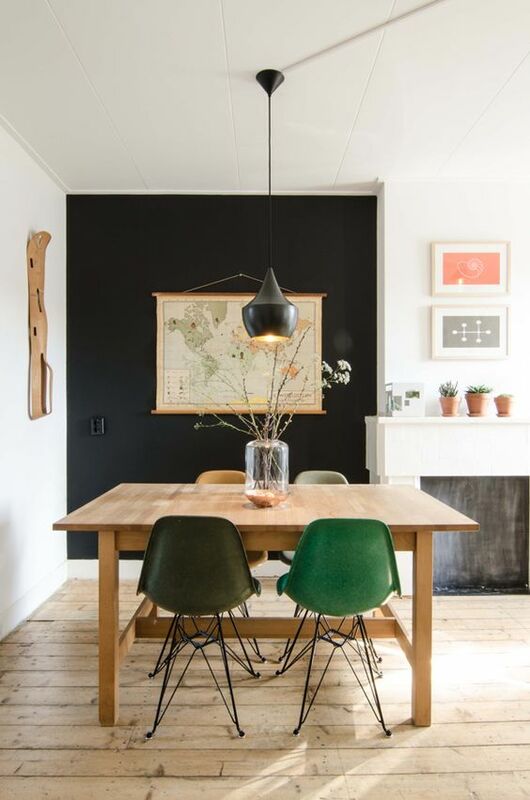 Here's a weekly roundup of our favorite Pinterest images featuring home decor and more! To see more inspiration, check out our Pinterest account @lyrapress. 1. 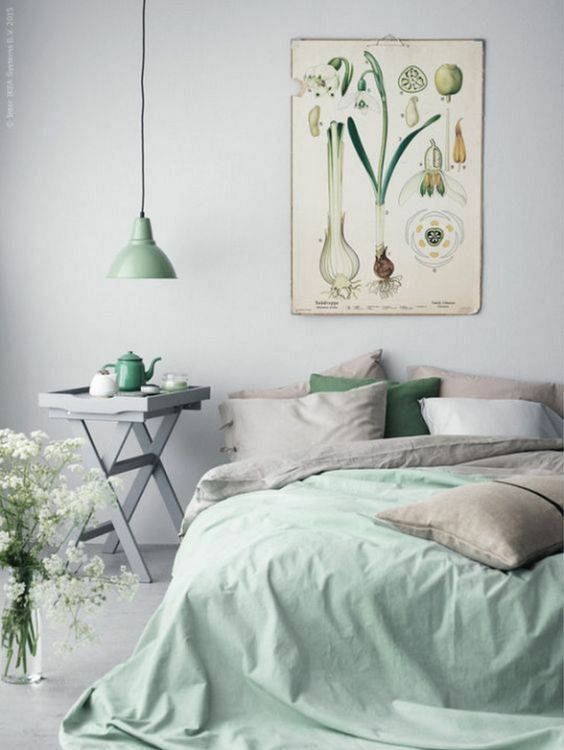 Shades of Green - Minty greens and neutrals create such a calming atmosphere in this minimalist bedroom. 2. 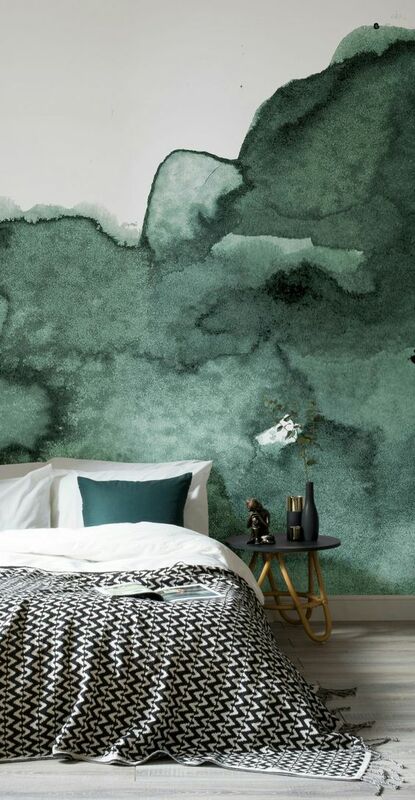 Watercolor Walls - Such a creative and unique way to use paint in a bedroom; we love the intentionally imperfect look. 3. 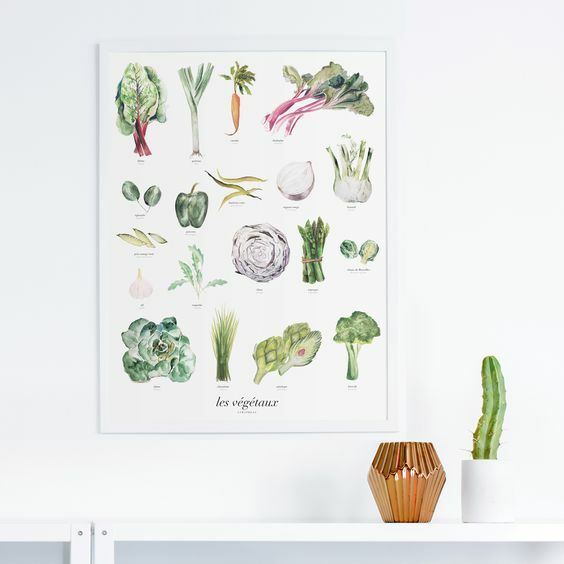 Garden Vegetables Art Print - Our vegetables art print sitting pretty above the shelf. We love how all the colors pop against a minimal white background. 4. 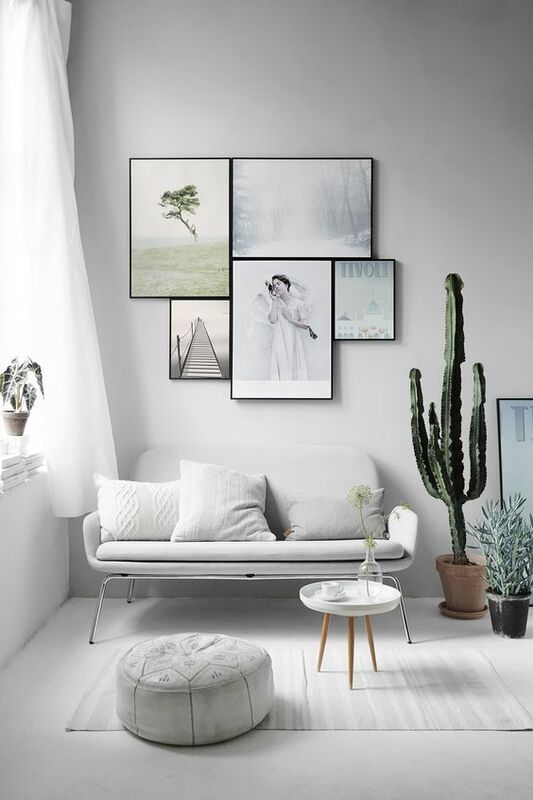 Cool + Modern Gallery - We love this unique gallery wall layout - as long as your prints adhere to a simple color palette, you can place them directly next to each other. White + green always make for a calm, relaxing vibe. 5. Traveler's Kitchen - Warm earthy tones + mismatched chairs, this room is perfectly coordinated for a vintage, rustic feel. We love the hanging map - a lovely way to commemorate travel and adventure. More inspiration to come next week :) Happy weekend!